The well-known consumer electronics giant, Sony has expanded its W-series of digital compact cameras with Sony Cyber-shot DSC-W220. It’s the latest 12-megapixel Cyber-shot camera that incorporates powerful imaging features, aiming to enhance your photography experience. 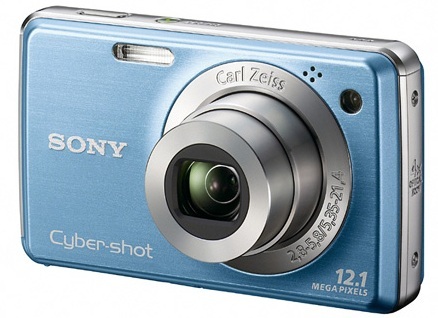 The latest Sony Cybershot W220 digital camera is available in silver, black, pink and blue colors for about $190.